“We know we have a difficult life ahead, but we escaped death.” – a quote from one of the many displaced Syrian refugees. 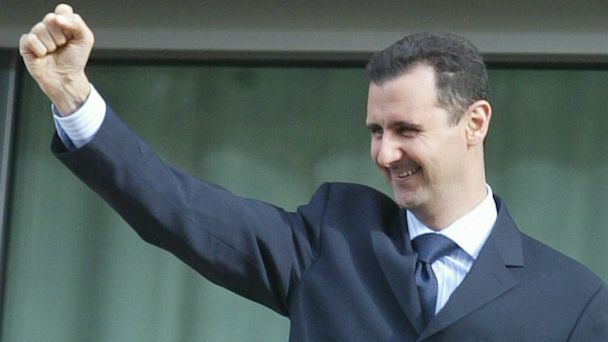 Bashar Al-Assad, who used to be a doctor, is the current president of Syria. To many, he is seen as a dictator. Assad was demanded to resign by the people of Syria after mass protests but he refused to listen and denied the citizens’ plea. 5 years ago, a conflict sparked in Syria when local people protested against the arrest of 15 students had written anti-government graffiti on a wall. Protesters kept claiming that the students should be released for ‘democracy and greater freedom for the people of Syria’. The government didn’t support the comments made by the protesters and the army opened fire. Grievers that had mourned the death of their loved ones had been shot in the following days by the army. In July 2012, the Red Cross reported that the violence had elevated to a level where the country is in a state of emergency; soon unrest spread like wildfire across the country. Assad, the president, was jeopardised as their was no control of the country. The citizens of Syria started applying pressure on the Assad’s government that had reigned for 16 consecutive years. There are many groups that oppose Assad; there is an estimated of 1,000 different groups that consist of rebel militia and political parties. Everyday, there are countless attacks on Syrian people, leaving many needing to flee and seek refuge in neighbouring countries. To add to the mayhem, in 2014 an extremist group, known as ISIS, in the neighbouring country of Iraq began to take control of large areas in Syria. Today, according to UNICEF, 11.5% of the Syrian population has been either killed or injured, with a death toll of 470,000. The death toll is a grim reminder of the reality of the citizens of Syria. Syria is still facing countless struggles with the Assad’s government till today and violence continues to spur in the nation.